Summer debuted with gusto this past weekend. Saturday bore the brunt of it, delivering to many of us our inaugural sunburn of 2010. Between the Rose Parade, USA vs England at Director Park, and Cirque Du Cycling, it was hard to keep in the shade. There was one last event to attend to Sunday, and the sun looked like it was staying out for a second day. 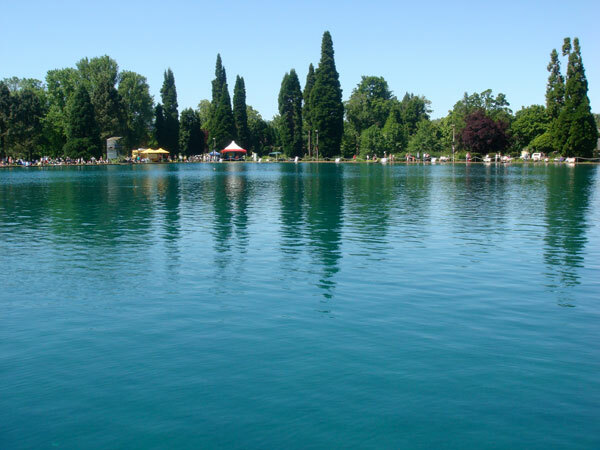 In the morning Heather and I reluctantly slathered on the sun screen we had forgotten Saturday, and headed down to Westmoreland Park with a pair of lawn chairs. 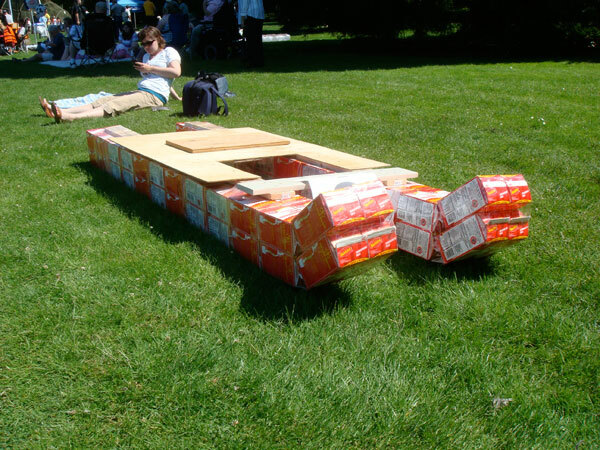 Yup, we were on our way to the 2010 Milk Carton Boat Races. After a several year hiatus, the races returned last year. 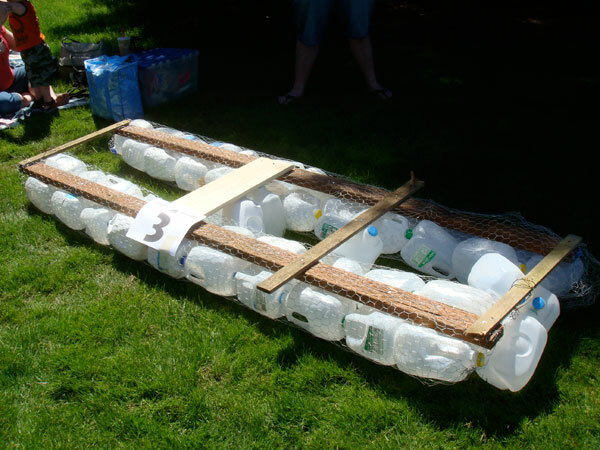 In my review of the 2009 event I groused a bit about the lack of a beer garden, the predominant boat-building choice of milk jugs over milk cartons, and the lack of spectacularly disintegrating boats. But this year, knowing better what to expect, I enjoyed the event much more. It’s a family friendly event, as it were. So though no beer garden, there was free chocolate milk, strawberry yogurt, and root beer floats. 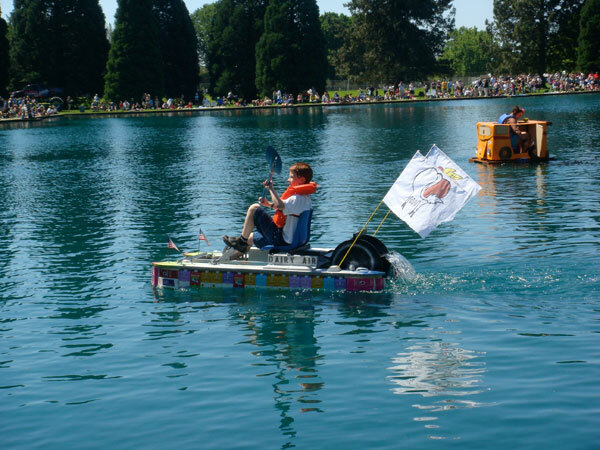 The Dairy Farmers of Oregon had the coolest boat, but it was just for the conveyance of dairy princesses. 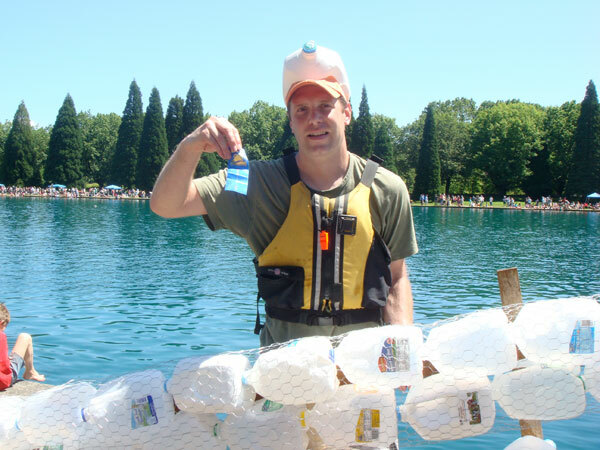 Friend of the blog Mike Vogel entered the race this year. Here are two of the show boats. The one it back, as you can no doubt tell, is a school bus. Or something. 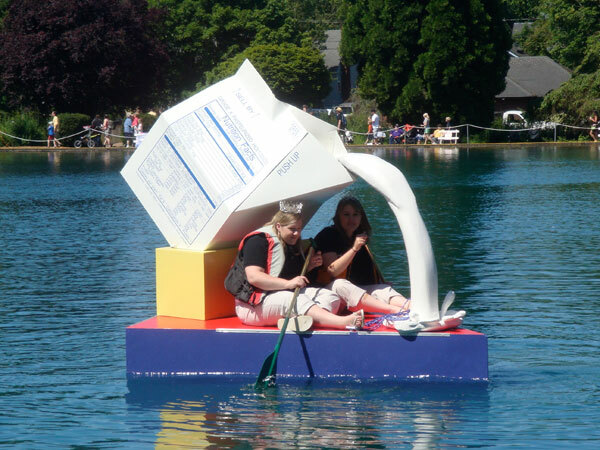 The one in the foreground was one of the best build milk carton boats I’ve seen. And it was pretty fast, with the peddling and the kayak oar. It was christened the Dairy Air. A wholesome time was had by all. Like last year Heather and I are inspired to enter a boat. In all probability the enthusiasm will dissipate by this time next year, but stranger things . . .